Available for a nominal cost from Flat World Knowledge, this text is designed for students to experience and study as much of the world as possible within a limited amount of time. Articles from our Geography databases can be great for required or supplemental readings. This will ensure two things 1) that we are complying with copyright and publisher restrictions, and 2) that our journal usage is counted (this allows us to justify maintaining our subscriptions.) Please ask Toni Olivas if you are unsure of how to find the permalink. The Department of Geography at Penn State offers a variety of course material online in several subject areas. From Tufts University, this course provides a basic set of tutorials for understanding how to use geographic and tabular data to visualize a community. 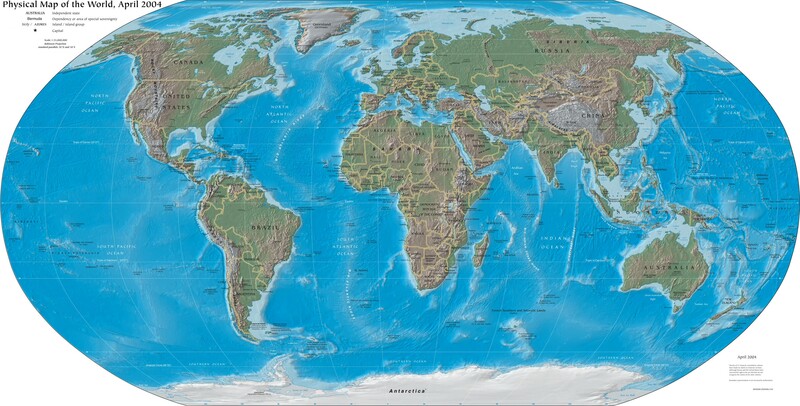 World Regional Geography is concerned with the physical and human characteristics that make the regions of our world distinctive. MIT Open Courseware offers an extensive series of online courses. Search for Geography related lecture videos, assignments, exams, and more. Use the keyword search function to discover the variety of materials on Geography. Searchable by discipline and academic level. Search for Geography and related keywords for instructional materials, texts, images, videos, primary sources, and more. This online tutorial was created to develop students’ internet research skills, with specific reference to geographical information and topics. The tutorial contains a wide range of useful links to online learning materials, textbooks, multimedia, maps, digital data sets and more. The Stanford Geospatial Center has gathered a series of websites that offer GIS Data to download for free. The data is classified per geographic extent and grouped by theme for each extent. In addition to lots of raw data, the Census provides in-depth PDF reports on different ethnic groups and related topics, like voting registration, socioeconomic status, education levels, and more.